Actress Deepika Padukone was in New Delhi last night, where her father Prakash Padukone, an ace badminton player, was felicitated. She was accompanied by her mother Ujjala and sister Anisha. Mr Padukone was honoured with the Badminton Association of India (BAI) Lifetime Achievement Award by Vice President Venkaiah Naidu. Deepika, 32, was dressed in a beautiful peach-coloured silk sari and paired her look with a low bun and earrings. Her mother Ujjala and Anisha also chose to wear Indian outfits. A selfie of the Padukones was shared by badminton player PV Sindhu. Deepika’s fan clubs on Instagram have also shared some nice pictures of the “Padmaavat” star with her family. “I did not play for money, awards, rewards or to please anyone. I played for the love of the game, my own satisfaction and challenging myself,” Padukone said in a choked voice after receiving a citation and a cheque of Rs 10 lakh from the hands of vice-president M Venkaiah Naidu. 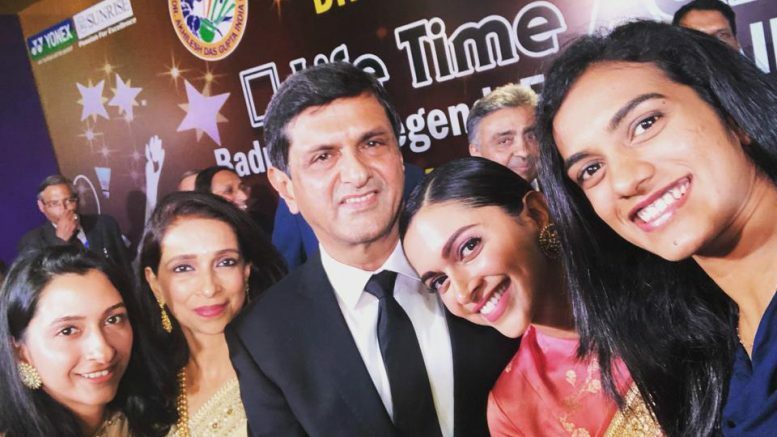 Be the first to comment on "Deepika Padukone, Mom And Sister Attend Prakash Padukone’s Award Ceremony In Delhi"